More than 2.6 million Americans are affected by Atrial Fibrillation (AF), and that number is expected to increase to about 12 million by the year 2050, due to the aging of our population. By itself, AF is generally not a life-threatening condition, but it can lead to serious medical complications, such as clot-provoked stroke. Nearly one in every six strokes is caused by AF. In fact, AF patients are nearly five times more likely to suffer a stroke than those without the condition. 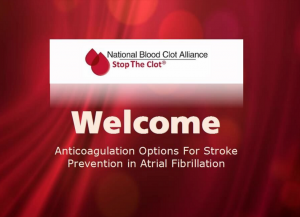 The National Blood Clot Alliance’s Atrial Fibrillation Learning Module provides the most current information and clinical considerations regarding anticoagulation options for healthcare providers regarding stroke prevention, particularly in AF patients. 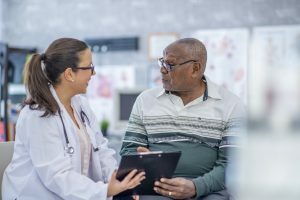 This learning program includes comprehensive information about three important topics to the treatment and prevention of Atrial Fibrillation including 1) AF, stroke risk and patient selection 2) Anti-thrombotic therapy options for patients with AF and 3) Promoting adherence to oral anticoagulation therapy. This course is intended for nurses, nurse practitioners, physicians’ assistants or other healthcare professionals who have patients with AF, are interested in preventing stroke in these patients, want to know about current anticoagulation options, and/or want to help these patients with adherence. The National Blood Clot Alliance extends its appreciation to Boehringer Ingelheim for the sponsorship of this program.